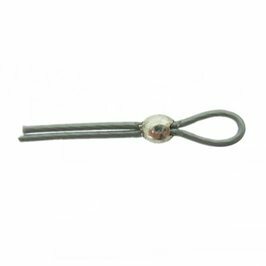 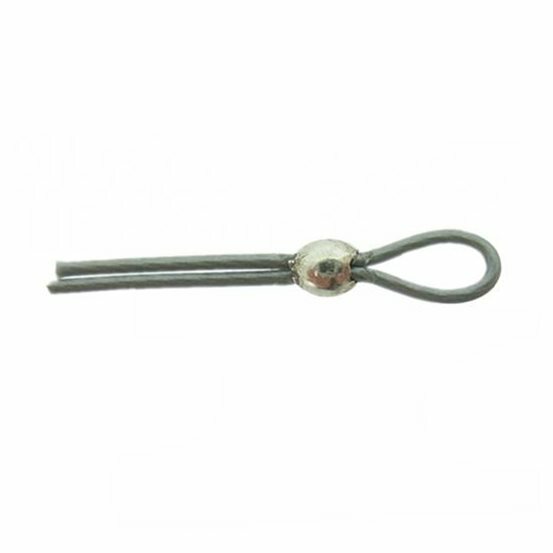 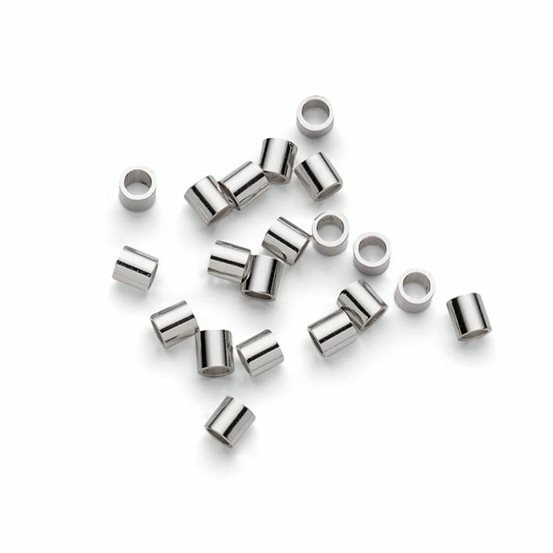 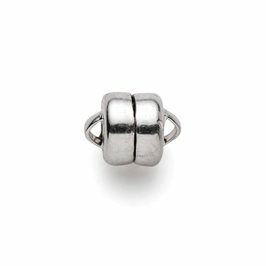 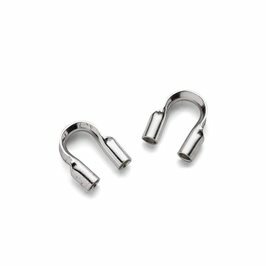 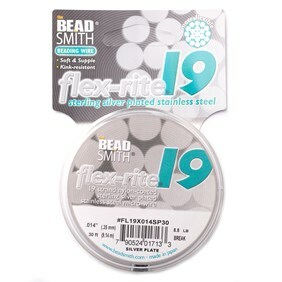 These sterling silver 2 x 2mm mini crimps are good quality, well-formed tube crimps and are perfect for finishing necklaces and bracelets. 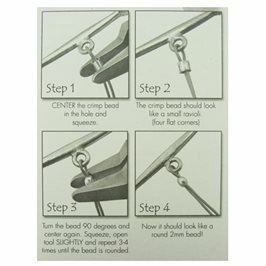 To finish a strand of beads; slide a crimp onto your thread, hook the thread through a jump ring or the loop on your clasp before passing it back down through the crimp. 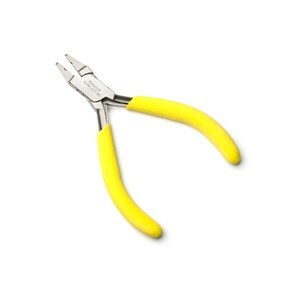 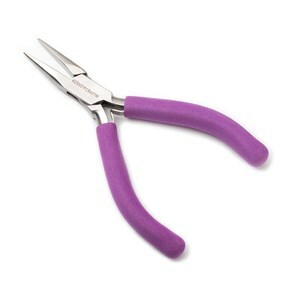 Once you are happy that everything is in place, gently squeeze the crimp with snipe or flat nose pliers. 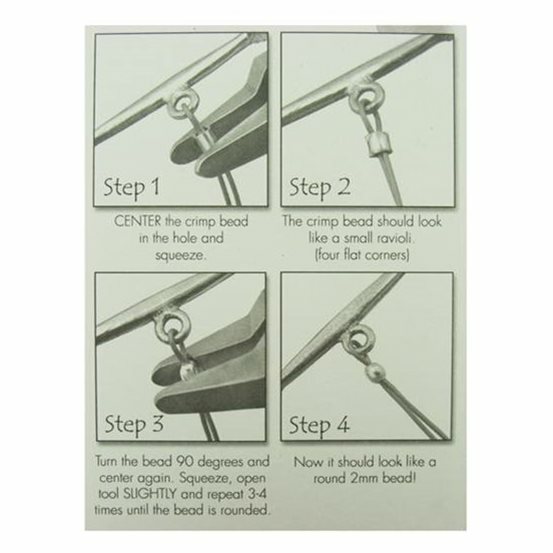 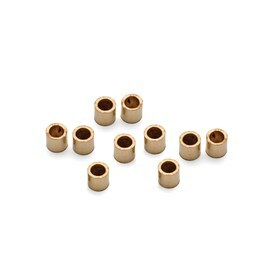 For an even neater finish, use these crimps with our magical crimping pliers which turn the crimps into round bead shapes so they blend in and become part of your design.